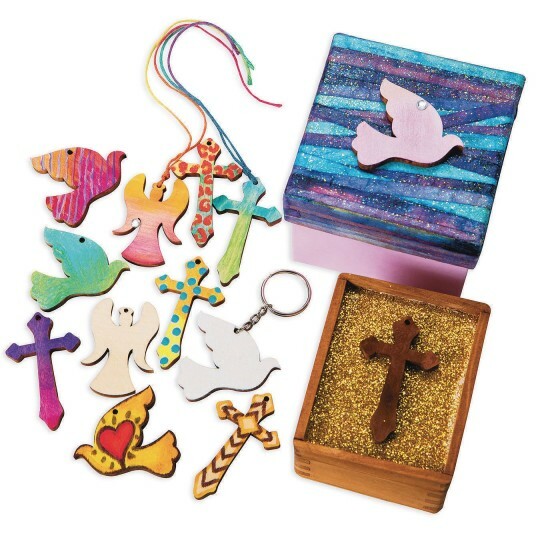 Christian wood pendants are great for a variety of activities including VBS, Sunday School, or any group looking for a faith based activity that fits a wide range of abilities. The smooth shapes are smooth and ready to decorate with markets, paints, embellishments and more. These can be strung for necklaces or key chains but can easily be used as ornaments or as decorations in numerous types of projects. Included are equal amounts off the cross, dove, and angel and are similar in size at approximately 5-6 centimeters tall.